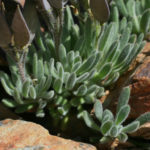 Anelsonia eurycarpa is a fleshy, hairy, succulent plant. 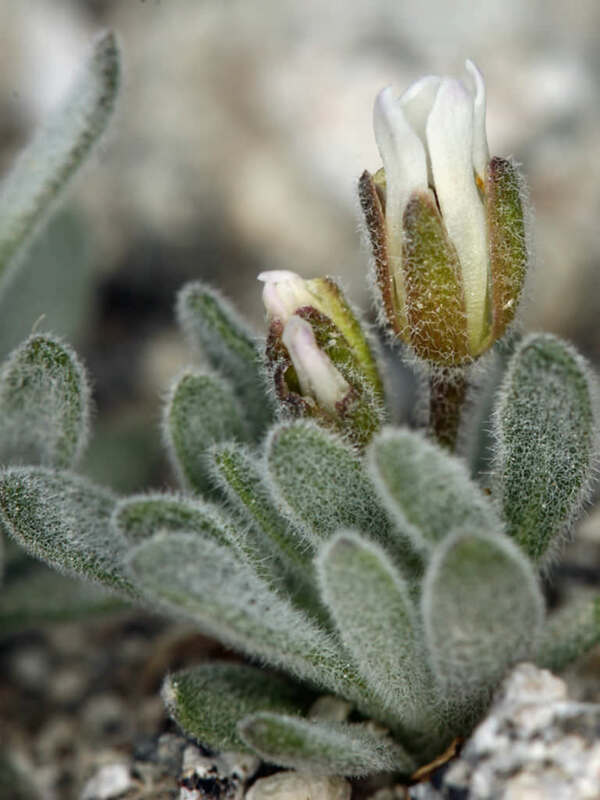 Above the rosette of velvety, finger-like leaves it bears densely packed inflorescences of tiny white flowers. 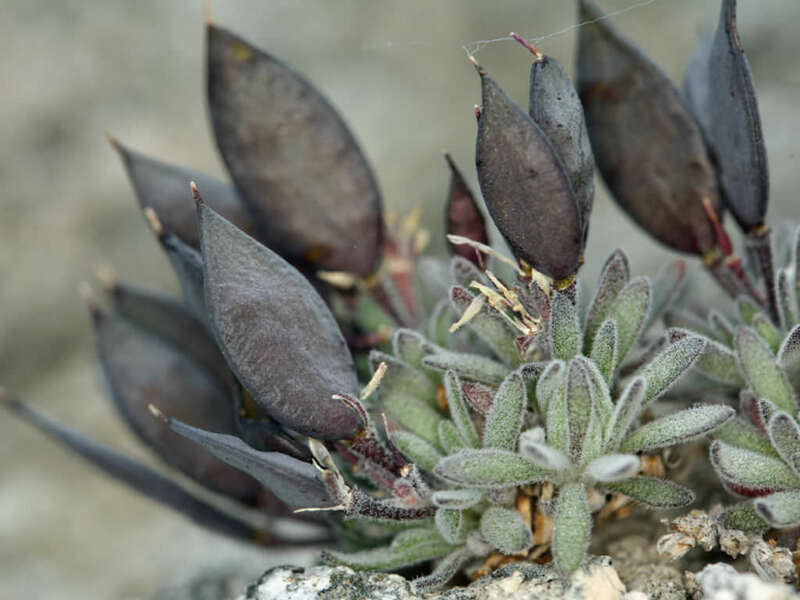 The distinctive fruits develop and dwarf the rest of the plant under an array of saillike pod structures, each on a pedicel. The fruits are each up 1.2 inches (3 cm) long, elliptic, and papery to leathery across a span between stiff septa. 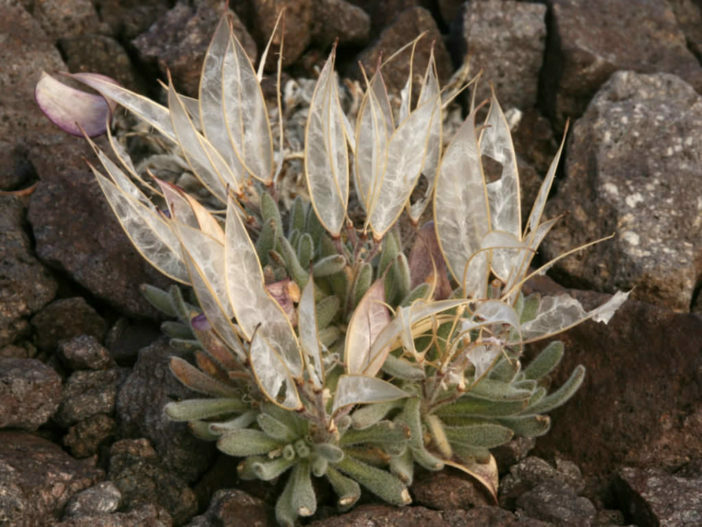 They are white, often with areas of purple coloration, or brown. Within the folds of the fruit are several seeds. 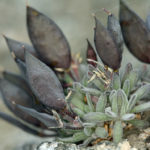 Anelsonia is a monotypic genus in the Mustard Family containing the single species Anelsonia eurycarpa, which is known by the common name Dggerpod. 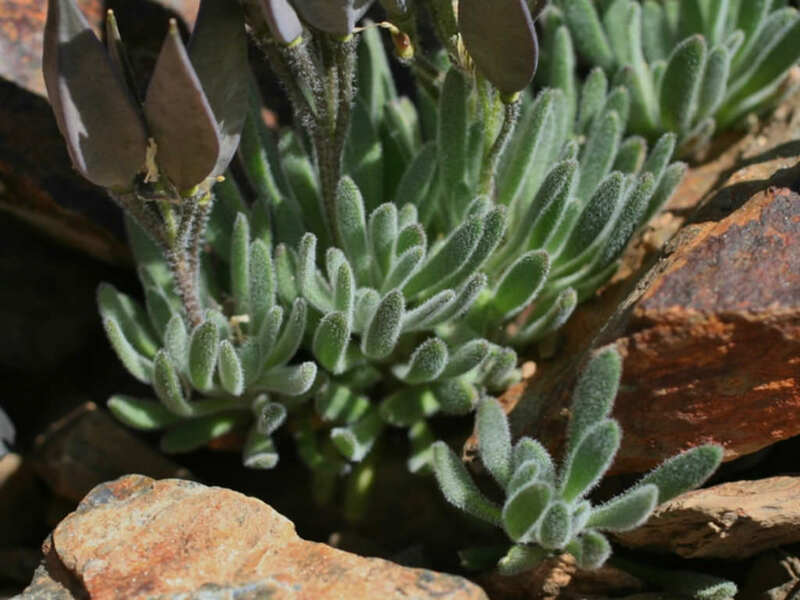 It is similar to Phoenicaulis cheiranthoides, but at present they are treated in separate genera. 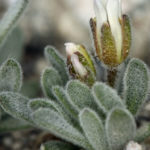 This species is a fleshy, hairy plant that grows at higher-elevation, mountain habitats throughout the western United States. Anelsonia was named for the botanist Aven Nelson.